I will be honest, I had never heard of macrame before. I didn’t even know how to use it in a sentence! 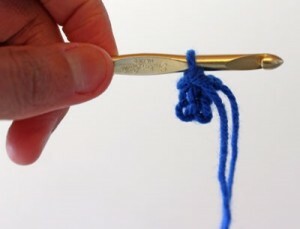 So it came as a surprise when I typed it into Google and find that it’s just knots. (I’m sorry to those of you who already know what it is, but bear with me for a few lines.) Homemade macrame jewelry is what mostly comes up. Basically, it’s a series of knots assembled in a way to hold stuff of varying sizes. It normally uses cotton, linen, yarn, or rope—what you choose to use for macrame materials usually depends on what you’re doing with it. 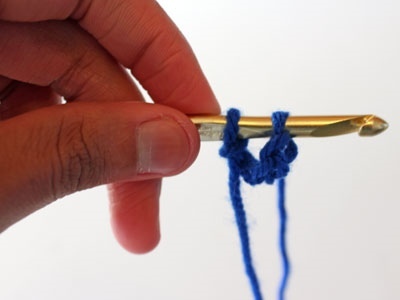 If you’re making macrame jewelry, then you can use a lighter string with beads. 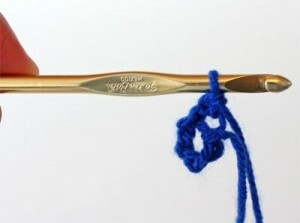 For right now, however, I wanted to explore what other options macrame crafting has to offer. So what do I go to first? Home decor. Living in the city gives me an awesome urban background to try a hipster/urban-chic decorations. These DIY home decor ideas are a great way to bring a little Bohemian-chic into your home. They may remind you of those corner-hanging-lamps with the tassels and the psychedelic coloring, but the modern world has transformed the hipster decorating ideas. These designs call for basic knot-tying skills such as square knots and overhand knots and are an up-and-coming trend for home decor. 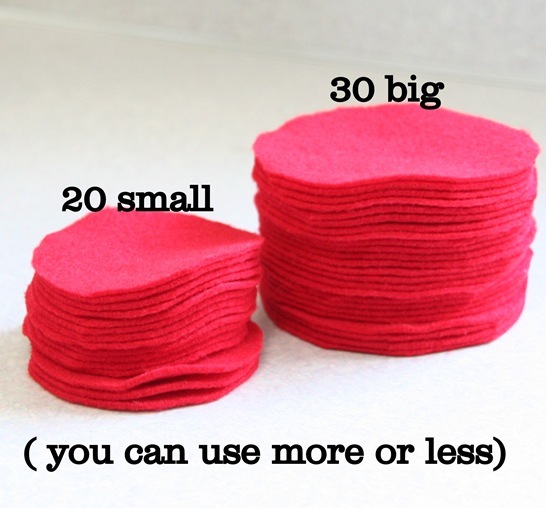 Don’t both spending money, let alone attempting to find the exact color and fabric you want, at a store when you can use any fabric, in any color, for your own color scheme. 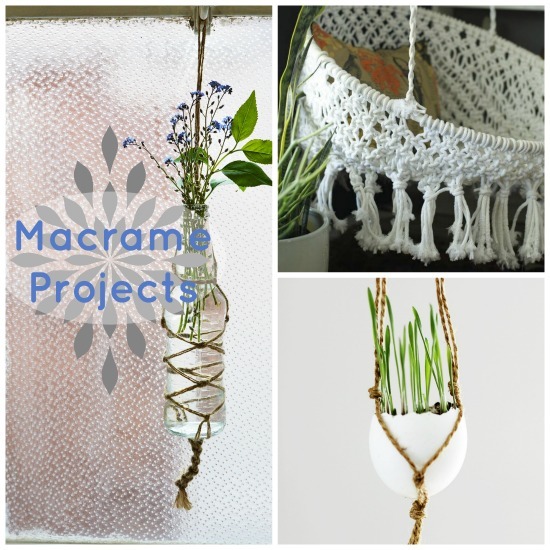 Although most of the items that the macrame is holding are potted plants, you can use these to hold about anything. You can use a garden gazing globe and create beautiful colored light inside your home. It can be used as a hanging storage place for your child’s stuffed animals. 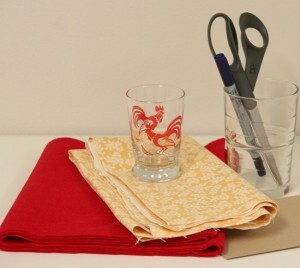 This is a trending craft that will work for whatever setting you have in your home. Even try it outside to hang your hanging plants. Urban, Bohemian, country, rustic… These rope crafts are going to be the hottest thing to make! Where and what will you use macrame for? This guest post was written by David Leon Morgan. 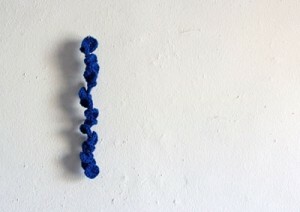 Make a simple, crocheted garland to hang on your wall, decorate a party, or beautify a Christmas tree. 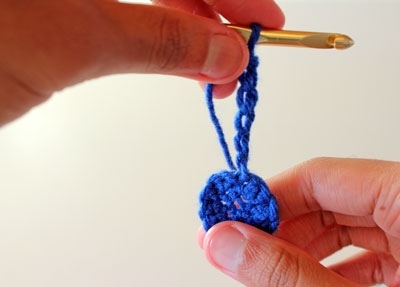 If home decorations aren’t what you’re looking for, you could make a cool crocheted necklace with the steps below, too. 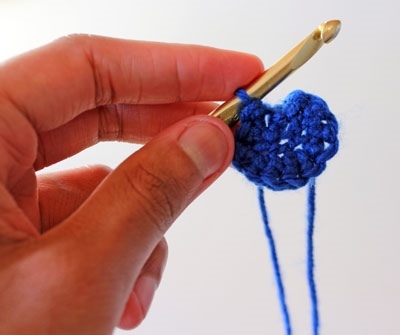 This tutorial reinforces the technique of crocheting in rounds, and can be made with virtually any type of yarn and any size crochet hook. For this tutorial, however, I used a 6mm hook and 4-ply yarn. 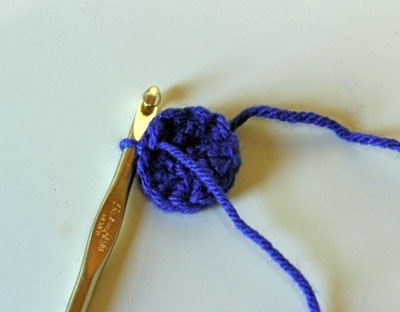 The yarn was a bit tight around the hook, so if you are a beginner, I would suggest using a size hook and type of yarn that you are able to make stitches with comfortably and easily. 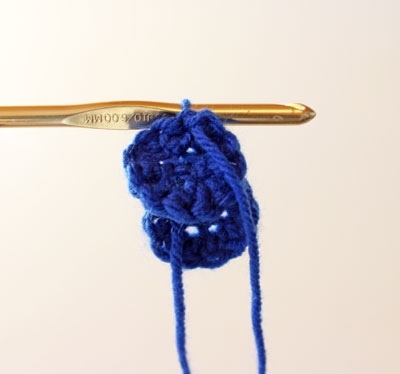 This tutorial requires a basic knowledge of crochet, including how to create a slip knot and chain stitch, and how to make a double crochet stitch. 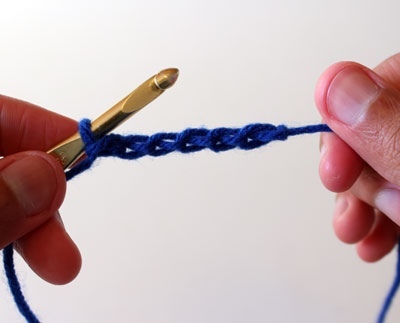 Step 3: Instead of creating an increasing chain stitch, yarn over and crochet your first double crochet stitch directly in the two chain stitches you joined together. Crochet 12 double crochet stitches within the row of stitches. I crocheted two doubled crochet stitches per one chain stitch, and crocheted within the top of the stitch. Step 4: Once you have crocheted all 12 stitches, join the last stitch with the first stitch through a slip stitch. Step 5: Chain 6, then repeat steps 2-4. 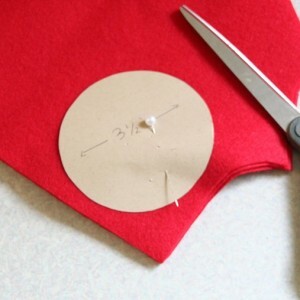 Make as many as you like to achieve the length you need for your garland. With these instructions, there should not be any spaces between your circle of stitches. However, feel free to add variation to the instructions by including extra chain stitches between your circles. You can also join two types of yarn together for a multicolored feel, or crochet large beads into your garland to add eclectic charm. How else could you customize your garland, and where would it look great in a home? Let us know in the comments below! FaveCrafts Radio is a monthly radio show hosted by Pat Sloan. Pat interviews your favorite craft experts and celebrities and they offer tips about and discuss some of their favorite projects on FaveCrafts.com. 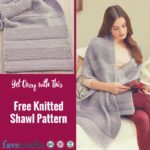 FaveCrafts Radio airs live on BlogTalkRadio on the first Wednesday afternoon of each month from 3 – 4:00 pm (ET) (2 pm Central, 1 pm Mountain, noon Pacific). Archived podcasts can be streamed directly from the website or downloaded for free through iTunes. Visit FaveCraftsRadio.com. Tune in today at 3 pm Eastern time (2 pm Central, 1 pm Mountain, 12 noon Pacific) for FaveCrafts Radio. 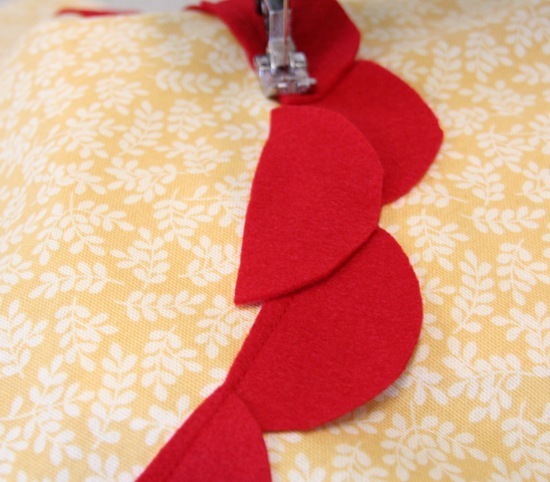 Listen to FaveCrafts Radio to hear what these talented crafters have to share about their work! FaveCrafts Radio Host Pat Sloan is a frequent contributor to FaveCrafts.com. She also has a website http://www.PatSloan.com, Blog – http://patsloan.typepad.com, Quilt Forum – http://www.quiltmashup.com, Facebook http://www.facebook.com/PatSloanQuiltFun and twitter http://twitter.com/QuilterPatSloan. 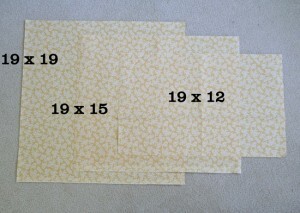 In 1998 Pat took her 6 quilt patterns to Houston to Quilt Market and had her first booth to share her designs. 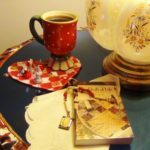 From there she’s been published in all the quilt magazines, has over 20 books with Leisure Arts, and many fabric lines with P&B. Over the years, she’s taught around the country, hosted quilters cruises, and generally spread her joy of quilting to as many people as she can. All in all, Pat loves to motivate people to create. 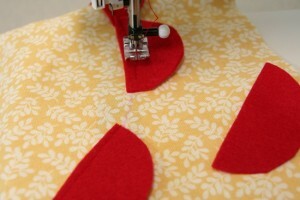 Pat also hosts American Patchwork & Quilting Radio with Pat Sloan. It’s hard to believe but it’s almost time for fireworks, sparklers and all of the other fun stuff that comes with Independence Day. I don’t know about you but for me, the Fourth of July is my favorite holiday to get together with my family, friends, neighbors… basically everyone I know! There’s nothing quite like throwing a bunch of burgers on the grill, playing some outdoor games, listening to good music and enjoying the company of friends in the warm weather. -Send out invitations as early as possible. This is one of the busiest times of the year and you want to give advance notice to your guests. -Go grocery shopping. You’ll want to stock up on all of the essentials, including All-American favorites like hamburgers, hot dogs, corn on the cob, watermelon and a patriotic dessert or two. Also, don’t forget the drinks! -Organize a game of capture the flag, softball or kickball… something that everyone can participate in and enjoy. -Have a craft table where kids can work on 4th of July art projects, like these fun pipe cleaner leis or this Stars and Stripes Game Box. -Find a local fireworks show that you and your guests can go to afterwards, because it wouldn’t be the Fourth of July without fiery explosions in the sky! From table toppers to party favors, and everything in between, there are plenty of ways to add patriotic décor to make your party as festive as possible. We all know that decorations can get expensive really quickly, so if you want to learn how to plan a 4th of July party without breaking the bank, try crafting your own centerpiece, festive garland or fun cupcake toppers. The Fourth of July is all about celebrating freedom, so don’t feel like you have to follow this plan to a T. These are just some of our favorite ideas that we hope will inspire you in your planning. There really is no limit to what a creative mind can dream up when brainstorming about how to plan a 4th of July Party! Do you have any other suggestions for how to plan a 4th of July party? What are you planning on making to celebrate the holiday? 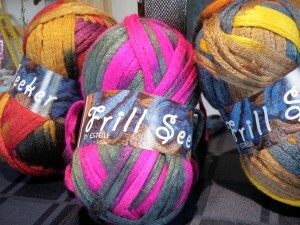 Have you seen this new Yarn out in stores? 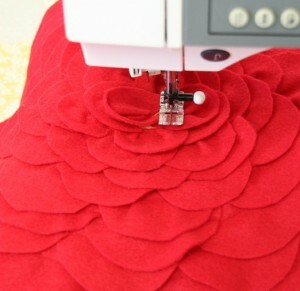 It’s called Frill Seeker by Estelle. This is the new cat’s meow and is selling up fast. Essentially you are thinking you are seeing a shoe lace but when you don’t realize that it’s like a fish netting yarn material. For packaging it’s condensed but when you start to open up the yarn strand, you are seeing nearly 3″ of netting opening up. This provides amazing frills that are so cool. It’s 100% Acrylic Yarn and pretty artistic too! Price point in Canadian Dollars is about $15.00 but the yarn is so amazing for making scarves or doing something great with accenting your project. 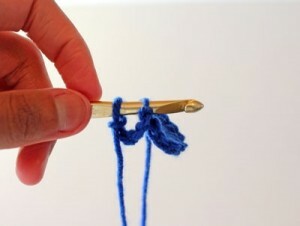 Check out http://www.estelleyarns.com for more information. 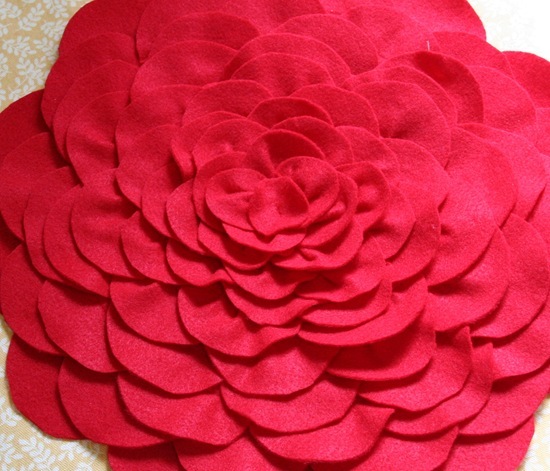 Thank you for posting your wonderful crafts! All of them were so unique and amazing. It was hard to pick and choose which ones I liked the most. 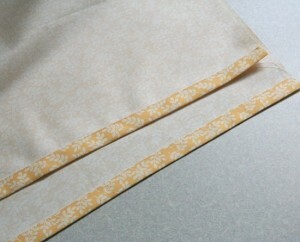 But I was able to narrow down my choices to five crafts I really liked. The Eggshell Mosaic Bracelet by Tiffany Windsor caught my immediate attention. I loved the texture and appearance of the bracelet. Being the jewelry lover that I am, I would definitely add it to my collection. It is easy to make and it looks great. Such a cool idea to include eggshells as decorative ornaments. Such a unique and elegant look. I definitely recommend you make it yourself! What is a perfect outfit without the perfect necklace? This Shrinky Dink pendant necklace by Amy Anderson is the finest accessory to your style whether it is casual, elegant, business, etc. Its glass looking texture and bright colors give it a catchy dimensional look. Amy describes in her blog how she enjoyed watching and eagerly waited for the Dink to bake in the oven. I guess most of us can relate to her, at least I can, since watching your craft bake is like watching your favorite dish cook in the oven. The result was stupendous Amy! Great job! Now all of you get to see how she did it and try it yourselves! 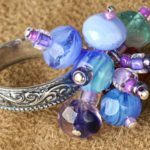 As I am on the jewelry fever right now, I can’t not mention another great invention that I saw on the Blog Hop for March. 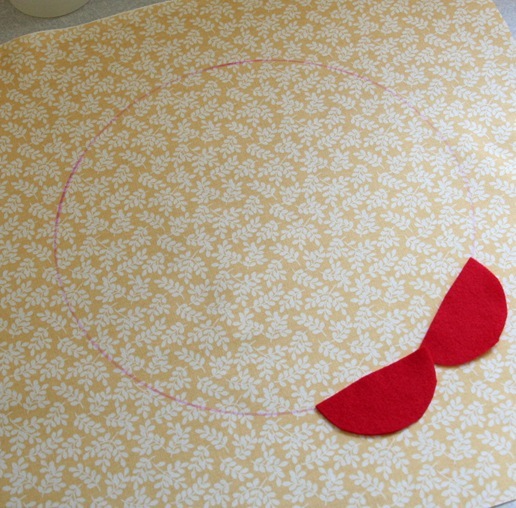 Who would have thought that paper can make a great material for a pretty necklace. At least, I haven’t. This St.Pat’s Day Necklace by Carol Heppner is so pleasing and so simple to make. I just adore it! You cannot make jewelry without beads. I love the African Trade Beads by Marie Segal not just because I am a huge fan of African crafts but because they are so colorful and fun to wear. I got myself some earrings from South Africa a few years ago with the same style of beads so it is so pleasing to see a tutorial on how to make and use them yourself in the comfort of your own home. Follow Marie’s instructions and you will see how much fun it is! Great idea Marie! Thank you so much for sharing it with us! And last but not least, the diaper wreath. All of you moms would love that one. I know I do. All these diapers around the house can be used to create a fun wreath to decorate your loved one’s room or simply to surprise a friend at a baby shower. Either way, I thought this was very creative. I just wish I could see some instructions on how you made it TxMum2ThreeBoys so that everyone can be a part of your creative idea. Once again, thanks to everyone who participated! Loved the projects, your blogs and work! Keep up the good work artists! It is not easy to be one but definitely very rewarding. I know because I am one myself. Good luck to all! As experts and enthusiasts of all things crafty, FaveCrafts decided to host a special National Craft Month blog series for all of our lovely readers. Check back for a new blog post every day featuring our favorite projects, new craft videos, how-to’s from the FaveCrafts editors, and a GIGANTIC, ENORMOUS, AMAZING craft giveaway at the end of the month. That’s right–we’re giving away the biggest prize ever, a gift basket chock full of crafting goodies from our craft closet. There’s something for everyone in this gift basket. Leave a comment below, and on any blog post labeled “National Craft Month” in the headline, and your comment will count as an entry into the giveaway. 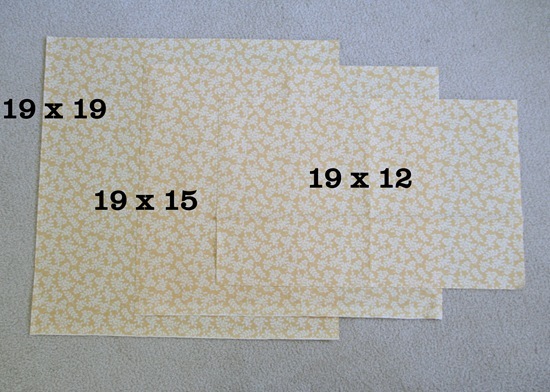 You are free to comment as often as once per blog post (for a total of 31 chances to win!). At the end of the month, we’ll pool all of the comments together and pick one lucky winner. 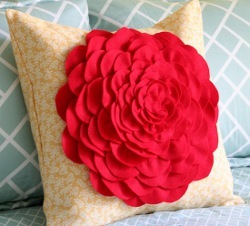 The Petal Pillow is a very popular project on AllFreeSewing.com. 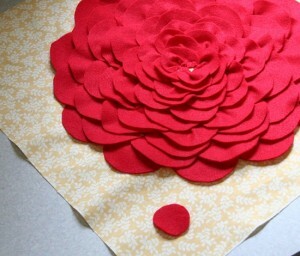 I’ve shared this project on Facebook and loved seeing such a positive response there as well. 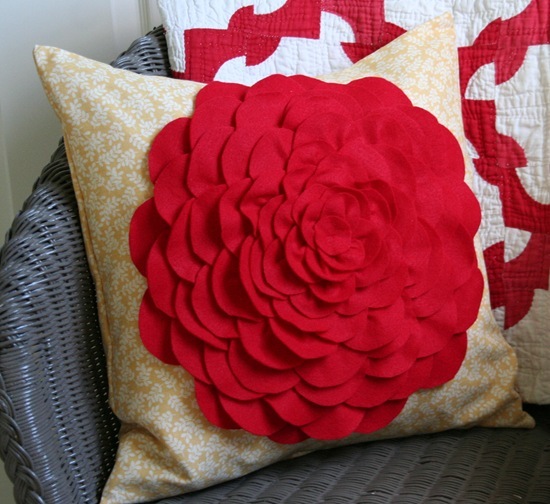 Some Facebook readers even shared photos of their own petal pillows! As a gift to all of you wonderful blog readers, Allison Harris from Cluck. Cluck. 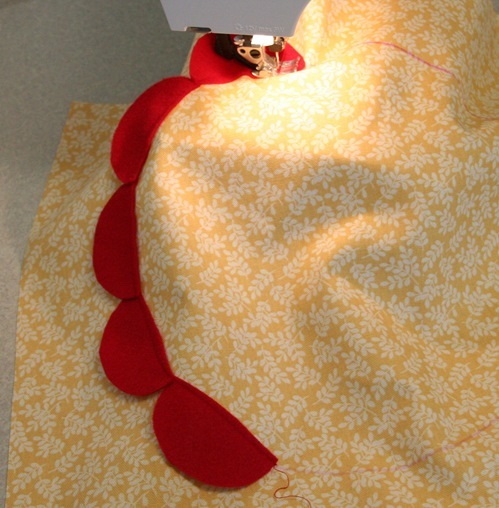 Sew has allowed me to share the entire tutorial right here on the blog! Learn how to make your own petal pillow with these instructions. 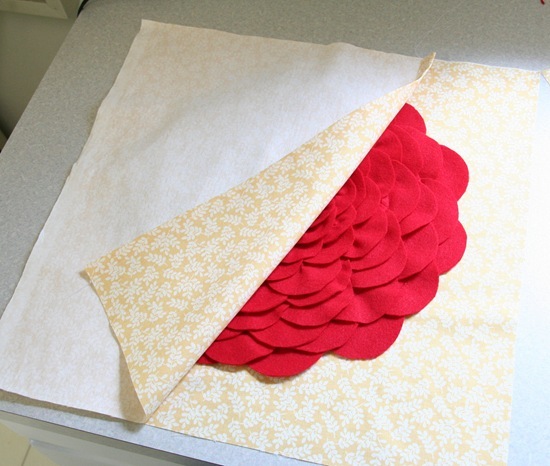 It’s a great project for spring. Enjoy! What’s next on your spring ‘To Make’ List? Ruffled Chiffon Fairy Light Box from Heart Handmade UK. Anthropologie Shower Curtain from Elle Apparel. Drop Cloth Pillow from Ink Blots and Polka Dots. Bold Striped DIY Drapes from The Yellow Cape Cod. 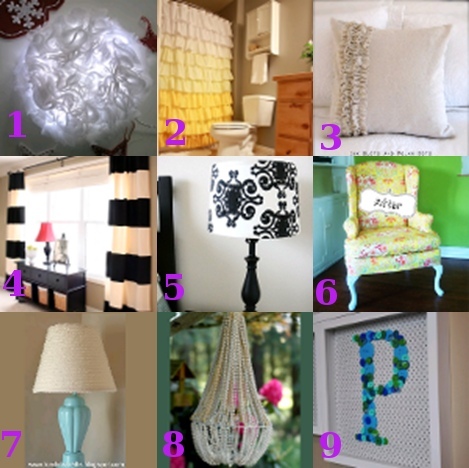 Lampshade Transformation from Two Girls…Being Crafty. Arm Chair Makeover from Funky Time. Ruffle Fabric Lamp from A Girl and a Glue Gun. Beaded Chandelier from Dollar Store Crafts. Buttons Specimen Art from Living with Punks. Which project is the prettiest? Most inventive? Most likely to end up in your home? Are you familiar with AllFreeCrochetAfghanPatterns.com? This site is home to all the afghan patterns you would ever need! Love granny squares? We’ve got them. Looking for a vintage afghan? We’ve got them. 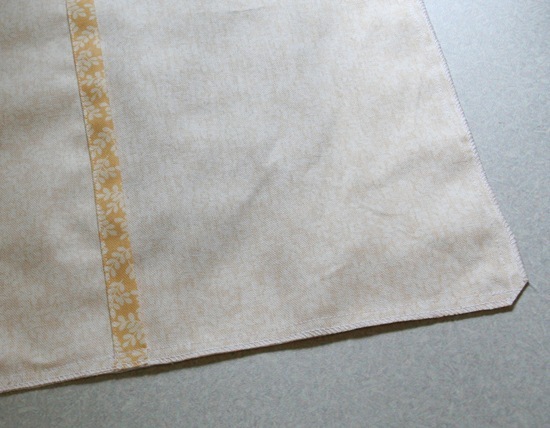 Want to make a baby blanket? You guessed it – we’ve got those, too. AllFreeCrochetAfghanPatterns (also known as AFCAP) has over 500 links to free patterns from all over the web. And now, we are so excited to announce the debut of our own newsletter, “Laying It All Out.” This newsletter will feature new patterns as well as old favorites. Hexagon Gem Afghan – This is a motif afghan pattern. It’s fun and pretty but still has a creative edge to it. The pattern is completely unique and super colorful. Brite Nights Throw – The colors in this granny square afghan is what makes it so special. Throws are a great way to decorate your home and brighten up any space. Plus they’re warm and toasty! Simple Ripple Crochet Baby Blanket – Stumped about what to get a loved one who is about to welcome a little one? 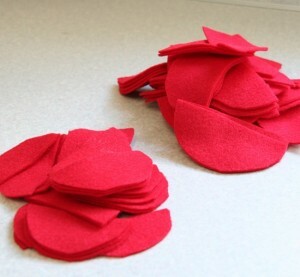 Why not make them a baby blanket? This is a great project because it can easily become a keepsake for generations to come. So what are you waiting for? This is an exciting opportunity to get new, free patterns delivered right to your inbox every single week! Sign up now. 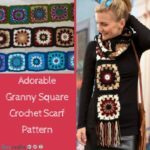 What’s your favorite kind of crochet afghan pattern? It’s crunch time. I have less than two weeks to find presents for my friends, two brothers and dad. How did this happen? The Christmas season should be filled with family, friends and fun. It shouldn’t be about stressing over money or finding the perfect gift at an over-crowded store. Take some time to create fun gifts this year. 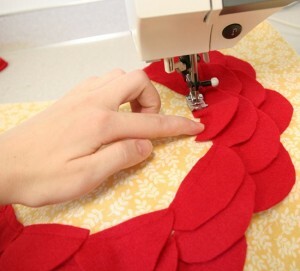 Best of all, you don’t have to be a world-class crafter! Don’t know where to start? 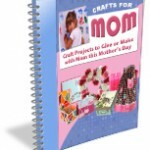 Look no further than the latest collaboration from FaveCrafts and Plaid- “12 Fun & Fabulous Mod Podge Projects” eBook. 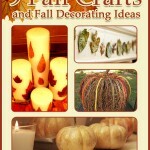 From wall hangings to jewelry, this free eBook is full of fun and easy ideas. If you’re like me, you don’t have a great deal of experience with Mod Podge. 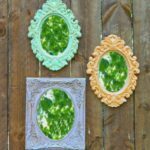 The great thing about this eBook is that there is a beginner’s guide to Mod Podge that’s perfect for anyone willing to learn. 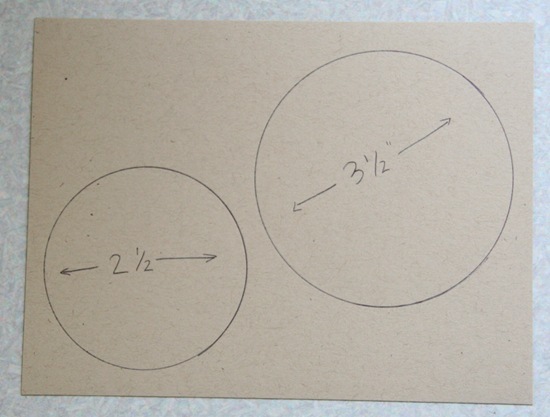 Plus, there’s large color photos that accompany all project instructions. 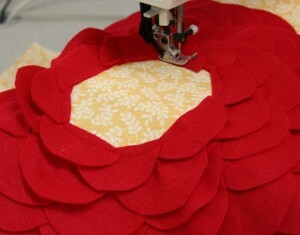 I can’t get over the Stenciled Embroidery Hoop Art. This project is great for a college dorm room, an apartment or a bedroom. I love the bright colors and unexpected designs. You could venture out into the cold and buy wall art, or you could stay inside and create something completely unique and full of character. I also really love the Fit for a Little Princess Footstool. If I were a little girl, I would die for this cute gift. It remind me of something a Disney princess would have in her room. What little girl doesn’t want to be a princess? 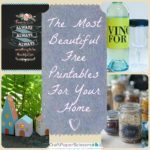 These are only a few of the great gifts in FaveCrafts and Plaid’s “12 Fun & Fabulous Mod Podge Projects” eBook. Check it out today and get started on those fabulous Christmas gifts!